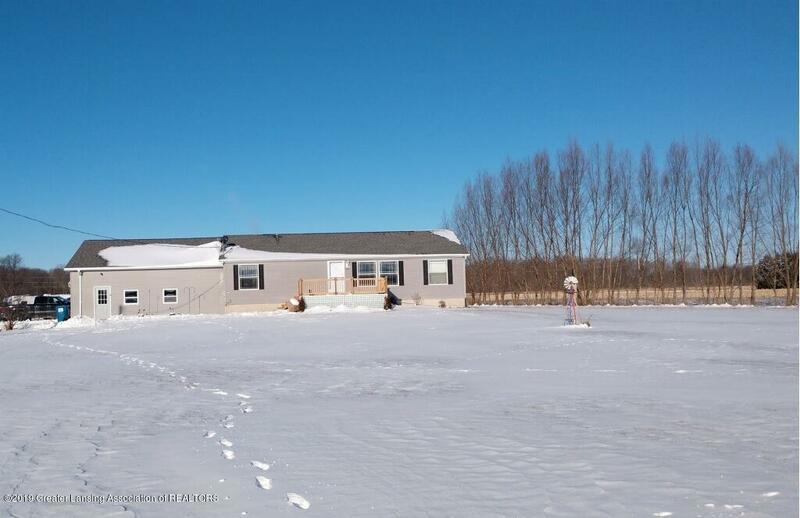 Exceptionally well maintained ranch with a 3 car attached garage on 25.67 acres. Includes fully stocked pond, pavilion overlooking the pond & woods with hunting blinds. The perfect set up for someone who loves the outdoors. Home has 3 large bedrooms. Master with jetted tub, separate shower & dual sink & large walk in closet. Open floor plan kitchen & dining area along with large vaulted great room. full basement is finished with 2 daylight windows. easily add an extra bedroom downstairs. Home has many energy efficient features including additional insulation and next thermostat. Area for pole barn has already been cleared for building. Garage is heated for workshop. Directions: W 5 Point Hwy, N on Maurer, w on Justins Way to end.